2009 Tournament Champion: Sam Houston State defeated Texas State 7-1 to win its 3rd straight Southland Conference Tournament Championship. Two Southland Conference teams qualified for the NCAA tournament last season as both tournament champ Sam Houston State and regular season champ Texas State made the field. It marked the sixth time in conference history that multiple teams earned bids to the NCAA tournament, and the first since 2005. With 21 conference players selected in last June’s MLB draft, the Southland Conference may be a “mid-major”, but can boast of a rich baseball heritage. This season, Texas State and Sam Houston State are favored to finish 1-2 in the standings, but several other teams are looking for banner seasons themselves. Will it be a repeat of 2009, or will another team breakthrough? Strong Hitters: Central Arkansas was a strong hitting team last year and return 3 of their top 4 hitters this season. The offense will be led by Sr. OF Tye Throneberry (.374, 4 HR, 34 RBI), So. 2B/OF Jordan Getchell (.333, .467 OBP, 6 SB), and Sr. INF Bobby Pritchett (.327, 5 triples, 2 HR). Pitching Staff: In addition to being one of the top hitters, RHP Bobby Pritchett (4-5, 4.85 ERA, 1 CG, 5 SVs) is the top relief pitcher returning. While the starting rotation will be hurt with the loss of Jeremy Cloud (4-6, 5.92 ERA, 5 CG), the Bears return Jr. RHP Reece Cross (4-4, 4.48 ERA, 2 CG). Another Strong Season: Lamar’s 38 wins last year marked the ninth consecutive year the Cardinals won over 30 games, and were the most since they won 41 games in 2004. Also, for the eighth time in school history s member of the team was named a Freshman All-American. RHP Eric Harrington (8-1, 3.01 ERA, 63 K) earned honors from both Louisville Slugger and the NCBWA on his way to being named Southland Conference Freshman of the Year. Newcomers: Lamar brings in 22 new players on this year’s roster, while only returning 18. The first-year players include 8 freshman, and 14 junior college transfers. The young team will be led by Sr. OF Quentin Luquette (.316, 4 HR, 33 RBI). Fleet Feet: The Cardinals stole 92 bases as a team last season, but return players that stole only 33 of that total. Gone are burners Tyler Link (.369, 15 SB), and Jeremiah Sammy (.310, 14 SB). Looking Forward: McNeese State struggled at times last year, winning only 10 league games, but with 21 returning letterwinners, including 10 seniors, the Cowboys believe they could show a marked improvement this season. Offensive Attack: The Cowboys were a good hitting team in 2009, and bring back several top hitters led by preseason 2nd team All-Southland Conference selection So. OF Lee Orr (.301, 15 HR, 57 RBI). Also back is two-sport star and leading hitter So. INF Jace Peterson (.366, 3 doubles, 13 SB), and Sr. INF Matt Fontenot (.343, 7 doubles, 3 HR). Two-Sport Cowboy: Peterson is also a safety on the McNeese State football team. He had 39 tackles, three sacks and an interception during the 2009 football season. He is one of more than 35 two-sport college baseball players who have been in our Two-Sport Reports throughout the fall. 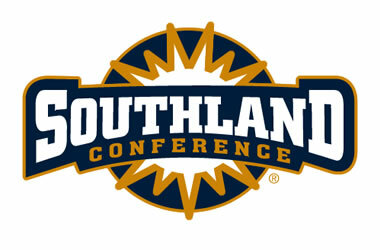 Uphill Battle: Nicholls State is picked to finish last in the Southland Conference by both the coaches and SIDs. They finished just a half game ahead of A&M-Corpus Christi in the standings in 2009. Their top returning player Sr. OF Scott Moseley (.346, 12 doubles, 37 RBI) is a preseason 2nd team All-SLC pick, but is coming back from offseason hip labrum surgery. More Two-Sport Guys: Senior Kyle Hughes plays linebacker for the Colonels football team, while freshman OF Mike Barba is also a wide receiver at Nicholls State. Hughes had 39 tackles with an interception in 2009. This is Hughes’ first season on the baseball team. He is listed on the roster as a right-hand pitcher. Minimum Travel: The Colonels will keep the miles off their schedule this year playing in only four states all season. 36 of their 52 games will be played in Louisiana, 12 in Texas, 3 in Arkansas, and 1 game in Alabama. Preseason Hype: Northwestern State is only predicted to finish 7th in the conference this season, however, they bring back several top players that could form a great foundation for success this year. Leading the charge is preseason 1st team All-conference Sr. SS Trent Grondin (.324, 60 H, 11 doubles), 2nd team All-SLC Sr. 3B Chase Lyles (.362, 14 HR, 17 SB), and 2nd teamer So. P Chad Sheppard (4-1, 2.34 ERA, 10 SVs). Sheppard is also a preseason All-Ping! Preseason All-American, and needs just 7 saves to become the school’s all-time saves leader. Tough Tests: The Demons will have several tough non-conference games this year, starting with a season-opening trip to 2009 CWS participant Southern Mississippi. Other contests include home-and-home games with national champ LSU, and trips to Texas A&M and Mississippi State. Johnson’s Dominance: Mark Johnson wrapped up his third season at Sam Houston State with his 3rd Southland Tournament Title as the Bearkats defeated Texas State 7-1. It was the 8th SLC tournament title in school history and it earned them their 6th NCAA tournament trip. Johnson enters the 2010 season 11 victories shy of 1000 career wins. Mound Strength: The Kats return only 11 of 24 letterwinners from last season, but do return 3 starting pitchers and their top reliever. The staff is led by Jr. RHP Matt Shelton (7-0, 1.99 ERA, 2 SVs), Jr. LHP Brent Powers (3-2, 4.77 ERA, 61 K), and Jr. RHP Justin Jackson (3-0, 5.75 ERA, 21 APP). Fresh Faces: In addition to 11 freshman joining the roster in 2010, several talented transfers from top baseball programs will also be eligible this season. Those coming to SHSU include C. John Hale (Rice), OF Jared Wondra (Louisville), P/OF Michael Heard (Texas A&M) and 1B Taylor Davis (LSU). Looking for More: Southeastern Louisiana won a school record 21 conference games last year to finish in 2nd place during the regular season. This season, they look to capture the SLC crown and will do so behind three preseason 2nd team All-SLC picks. Heading the group is Jr. OF Cass Hargis, a 2008 Freshman All-American, who hit .317 with 4 HR and 32 RBI, Jr. INF/OF Josh Cryer (.309, 71 H, 4 HR), and Sr. RHP Chris Franklin (5-2, 2.60 ERA, 12 SVs). Franklin is also a 2nd team preseason All-American by the National Collegiate Baseball Association and is on the Stopper of the Year watch list. Quick Start: The Lions play 12 of their first 16 games at home beginning on February 19th with 3 games against Eastern Illinois and a single game with Mississippi Valley State. They then head to Starkville for a 3-game set at Mississippi State before coming back home for 5 in a row. 2010 Outlook: Stephen F. Austin finished 8th in the conference last year and this season return just 12 letterwinners. Among the guys returning are Sr. UTL Ryan Priest (.370, 4 HR, 26 RBI), Sr. SS Tanner Hines (.353, 78 H, 17 SB), and Jr. RHP Jared West (4-3, 5.11 ERA, 36 K). Schedule Notes: The Jacks play more road games than home games this year, but do begin with a three game series in Nacogdoches against Grambling State. Flipping it Around: The Islanders finished last in the conference last year and are picked to finish 11th this season. They will try to turn things around this year behind preseason 1st team All-SLC selection Trey Hernandez. Hernandez hit just .236 in 2009, but crushed a team best 12 HR. He also performed on the mound going 2-3 with a team-high 4 saves. Tough Schedule: A&M-CC will face 7 teams ranked in the NCBWA Top 35. Among the ranked teams on the schedule is top-ranked Texas. Other opponents are Rice, Houston, Oklahoma, UCLA, Elon, and Mississippi State. Banner Year: Texas State captured their first ever regular season Southland Conference championship last season finishing 4 games up on Southeastern Louisiana. Ty Harrington was named SLC Coach of the Year, and 7 players were selected to All-Conference teams. Bobcat Repeat: The Bobcats are predicted to win the conference once again as voted on by both the coaches and SIDs. In addition 4 players were tabbed for preseason conference honors with So. INF Tyler Sibley (.359, 10 HR, 14 SB) and Jr. OF Bret Atwood (.368, 86 H, 14 SB) first team selection, while Sr. INF Kyle Livingstone (.314, 5 HR, 34 RBI) and Jr. INF Jason Martinson (.303, 7 HR, 39 RBI) were named to the second team. Pitching Prowess: Texas State will have to replace SLC Pitcher of the Year Kane Holbrooks (10-1, 3.29 ERA, 57), but do bring back Jr. RHP Brian Borski (7-3, 3.71 ERA, 1 CG), and Sr. RHP Michael Russo (4-3, 4.35 ERA, 6 SVs). 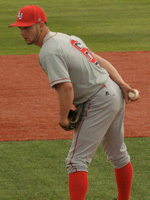 Star Player: Jr. CF Michael Choice enters 2010 as one of the most decorated players in the conference. A member of the 2009 USA Baseball Team, Choice is a preseason 2nd team All-American from PING! and Louisville Slugger, and a 3rd team All-American from the NCBWA. In addition, College Baseball Blog rates Choice as the 13th overall player on their Projected Top 100 player list. Choice is school’s all-time career batting leader with a .396 average. 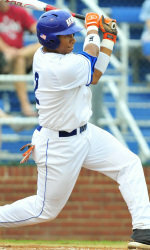 Last season, he batted .413 with 11 HR, and 52 RBI is helping UTA win 30 games. Pitching Depth Problems: The Mavericks staff led the league with a 4.38 ERA, but only four pitchers return that threw at least 10 innings last season. The team will rely heavily on Jr. RHP Rett Varner (2-3, 3.95 ERA, 44 K), a 1st team preseason All-SLC pick, and Sr. RHP Jason Mitchell (4-5, 4.63 ERA, 42 K) as starters, with Jr. LHP Adam Boydston (1-5, 3.29 ERA, 9 SVs) coming out of the bullpen. Offensive Explosion: UTSA broke several offensive records last year on their way to a 3rd place finish in the SLC. Records that were broken were team BA (.317), hits (661), homeruns (86), slugging (.532), and total bases (1109). Leading the way were Michael Rockett (.394, 15 HR, 58 RBI) and Lance Brown (.372, 84 H, 17 doubles). Key Returners: The Roadrunners will deal with the loss of Rockett and slugger Jose Hernandez, who crushed 17 HR last year, but bring back plenty of offense with Brown and Jr. Ryan Hutson (.343, 17 HR, 43 RBI), and Jr. DH Brett Aguilar (.304, 11 doubles, 29 RBI) returning. Brown and Aguilar were named to the SLC preseason 1st-team, with Hutson tabbed for the second team.